HR 4760 bill to remove family chain migration thereby increasing green card quota for skilled legal immigration by 45%. EB1, EB2 and EB3 category to benefit. 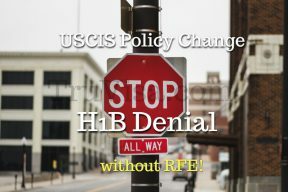 H1B Extension can be denied without RFE with USCIS policy change, if initial application is missing important documents, client letter to prove eligibility. 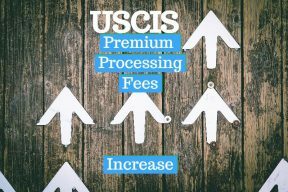 USCIS increase premium processing fees from current $1225 to $1410 starting Sep 30, 2018 for all fast track applications including H1B due to inflation. 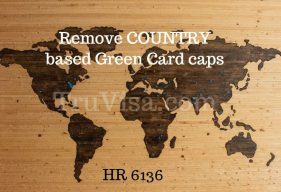 HR 6136 aims to remove country based green card caps which are capped at 7% per country today. Merit based visa system will help H1B workers to get faster green card. 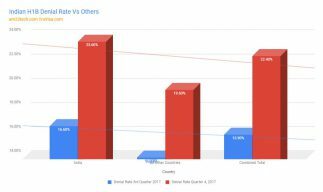 USCIS data analysis reveals Indian H1B and L1 Denials doubled under Trump government. Increased RFE (request for Evidence) for 'Speciality Occupation' proof. DHS agenda to revise H1B specialty occupation definition, revise wage level requirements and redefine employer employee relationship to target consulting company.